“It was a big blow, obviously,” said Simpson, who at his peak was delivering 35 babies per month. “It was rewarding to have helped so many families, but I had to leverage my training in another way.” He subsequently developed a bovine ultrasound business, consulting to pure-bred cattle producers. 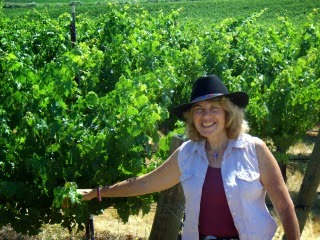 Friedman was in general practice when she and her husband, surgeon Michael Drucker, were introduced to the wine business by medical colleagues who had invested in vineyards. They were intrigued and the couple purchased a 160-acre tract which would later become Four Sisters Ranch, so named for their four daughters. “People who follow the industry were calling this ‘the next Napa,’” says Friedman, who graduated from Rutgers University-Newark before enrolling in New Jersey Medical School. The original investment expanded over time. Today Friedman and Drucker own Four Sisters Ranch Vineyards and Winery, as well as Serena’s Vineyard, a combined 700 acres. For both Friedman and Simpson, grape-growing has become a sizable business. 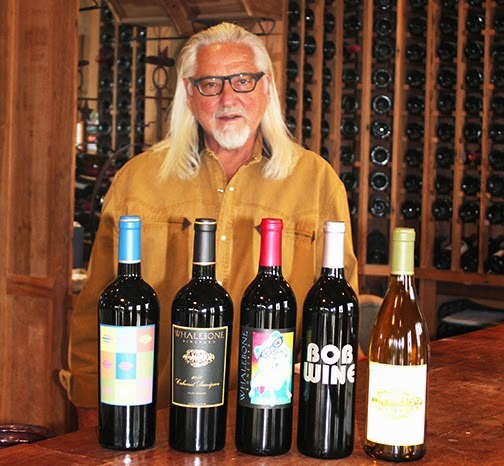 Friedman’s Four Sisters produces and sells a variety of wines. Wine merchants in California, New Jersey, Texas and Canada, as well as China and Taiwan are wholesale customers. Simpson added wine manufacturing to his grape-growing in 2001. Selling mostly to local customers, Whalebone Vineyard today produces Cabernet Sauvignon, Zinfandel, white and red Rhone blends and a Cab blend affectionately called BobWine. Along with production and marketing, Friedman closely follows the emerging research about the health benefits of wine consumption. Friedman is finishing a book she’s calling Why Wine to share what she’s learned about wine’s benefits. Both Friedman and Simpson believe their training in medicine and science has played a key role in the success of their ventures. Now, if they ever get to meet, they will have plenty to talk about.